Whether or not an ethnic Persian exists in the world is a topic where one will hear many opinions and arguments. Some (often Iranian nationalists) argue that the Persian-speakers of Iran are not an ethnic group but rather a lingual group (like most Arab speakers in the Arab world who although are culturally and linguistically Arab, yet very few can claim to be of pure Arab origin, although undoubtly many do have Arab ancestry). The 5th of March (1996/1416) marks the day when Shaykh Abdul-Malik Mollazadeh (Iranian Baloch Sunni scholar) was assassinated by Iranian intelligence agents. The Shaykh was the son of the great scholar Shaykh Abdul-Aziz Mollazadeh (brother of Shaykh Dr. Abdul-Rahim Mollazadeh, known in the Arab world as Shaykh Abu Muntasir Al-Balushi) who was the most influential Sunni authority in Iran during the time of the Shah and beginning of the Khomeinist revolution. Al-Layt h Ibn Saʿd Ibn ʿAbd al-Raḥmān al-Fahmī al-Qalqashandī (الليث بن سعد بن عبد الرحمن الفهمي القلقشندي) was the chief representative, Imam, and eponym of the Laythi school of Islamic jurisprudence from Egypt and of Persian origin. There is agreement on his Persian origin. Abu Abdullah (also known as Abu Al-Fadhl) Muhammad ibn Omar ibn Al-Hussein Al-Taymi Al-Bakri Al-Tabaristani Fakhr al-Din al-Razi (Arabic:أبو عبدالله محمد بن عمر بن الحسن بن الحسين بن علي التيمي البكري فخرالدین الرازی ) was a Persian Sunni Muslim scholar (of Taymite Bakrite descent i.e. a descendant of Abu Bakr Al-Siddiq). His family were originally from northern Persia, Tabaristan (today known as Mazandaran) from the city of Amol. Our master Abdullah Ibn ‘Abbas had many famous students, among them many non-Arabs such as the leader of the Salaf, Sa’id Ibn Jubayr (of Habashi/Ethiopian origin), ‘Ikramah (Berber, North African origin) and ‘Ataa Ibn Abi Rabah (of Nubian/Sudani origin) and many others. Imam Abu Sulayman Dawud b. ‘Ali b. Khalaf al-Asbahani (Isfahani) al-Kufi (815–883/4 CE, 199-269/270 AH) was a scholar of Islamic law (formely a Shafi’i) during the Islamic Golden Age. He is widely regarded as the founder of the Zahiri school of thought. Imam al-Sam’ani mentions that the family of Dawud b. ‘Ali belonged to Kashan, a small town in the neighbour­hood of Isfahan (a large province). His father was a secretary (katib) to `Abd Allah ibn Khalid, judge of Isfahan, in the days of the Caliph al‑Mamun. According to al-Dhahabi, Dawud was a mawla (client/freedman) of of ‘Abbasid caliph al-Mahdi bi-‘llah (born in Iraq and died in what is known today as Khuzestan/Ahwaz). Dawud himself a was born in Kufah (hence al-Kufi) in 202/817. The Abdullah ibn Mas’ud Hifdh Al-Qur’an school in Iran, Parsian county (formely known as Gavbandieh) of Hormozgan, south Iran. Wheverer you find Ahlus-Sunnah, you’ll find Ahl Al-Qur’an. Parsian county is one of the many remaining ethnic Persian Sunni (Shafi’fi) pockets in the south of Iran which also has a minority Iranian Arab (Sunni Shafi’i) population, living in harmony (with intermarriages being very common among southern Persian Sunnis and Arabs). If there are any Iranian Sunni people more unknown (even to Iranians) than the Persian Sunni-Shafi’is (Lari/Khodmooni) of south Iran, then it is the Persian Sunni-Hanafi people of the Iranian Khorasan province. Perhaps, this is due to the widely-held (erroneous) belief that Iranian Sunnis are from ethnic groups other than the Persian one. ultimate authority of sciences of Qur’an – Ibn Al-Jazari the Kurdish (Iranic) and Shirazi Beacon of knowledge. His full Name was Abu al-Khayr Shams al-Din Muhammad ibn Muhammad ibn Muhammad ibn Ali ibn Yusuf al-Jazari (1350 CE/751 AH – 1429 CE/833 AH) was a distinguished and prolific scholar in the field of the Qira’at of the Qur’an, whom al-Suyuti regarded as the “ultimate authority on these matters”. Kerman province is home to ethnic Persians, the absolute majority of them have been forced to Shi’ism during Safavid onslaught in 16th century. Today, a minority (mainly Baloch tribes) is Sunni (Hanafi), mainly in the south of the province. Major Muslim-Sunni authorities and Imams in Fiqh, Aqidah, Hadith, Tafsir, Arabic (grammar, poetry etc.) uses to emerge from the famous Kerman region of the Persian lands. Shaikh Mohsen Mo’tamad passed away today (16/02/2018) on Jumu’ah. He was one of the most famous Da’wah carriers (who also studied Mathematical Physics) in the south of Iran (Hormozgan) and amir (head) of the Tablighi Jama’at in the Hormozgan province (yes, they do operate in Iran, only in predominantly Sunni regions and even there they are often faced with harassment by the regime). May Allah have mercy upon him and forgive his sins and make Jannah Al-Firdaws Al-A’laa his eternal home. His full name was Abul-Qasim Hussein ibn Muhammad Al-Raghib Al-Isfahani (often written as Asbahani), also known as Ibn Al-Mufaddal. He was of Persian descent, born in Isfahan (modern day Iran). He lived in around 502 AH (eleventh-century A.D.) and was a scholar of Qur’anic exegesis and the Arabic language. العلامة الماهر ، المحقق الباهر أبو القاسم ; الحسين بن محمد [ ص: 121 ] بن المفضل الأصبهاني ، الملقب بالراغب ، صاحب التصانيف . One of the most senior Sunni scholars of Iran has passed away. He was Sheikh Al-Hadith Mohammad Yusuf Husseinpour from Sarbaz city. 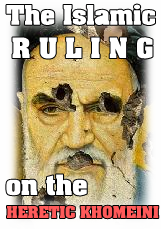 Unlike the likes of Khomeini (whose already extravagant mausoleum has been further renewed to what looks now like a Zoroastrian-Sassanian palace) and other Shia scholars and saints, no extravagant grave (let alone shrine or mausoleum) will be built for him, he will be buried in a simple and modest fashion as required by the shari’ah and as it is common among Sunni Iranians. Ramadhan 1438 / 2017 in Birjand city (southern Khorasan province of Iran) which has a large Sunni population of ethnic Persian Sunnis (Hanafi). The Shalwar Qamis is their traditional clothing just as it is the traditional clothing of Persian/Tajik Sunnis of Afghanistan. Shias in Iran are one of the few nations in the Islamic world that are devoid of any traditional Islamic clothing (the Shia clergy is wears clerical clothing which is for them only, like in a Hindu caste system or the Church where priests only wear specific attire). The tradition of wearing black as a symbol of mourning is a Jewish and Christian tradition, alien to orthodox Islam. Images of Iranian (Baloch, Persians etc.) Sunni fighters (Anti-Daeshand Anti-Bashar and Anti-Iran regime) in Syria. 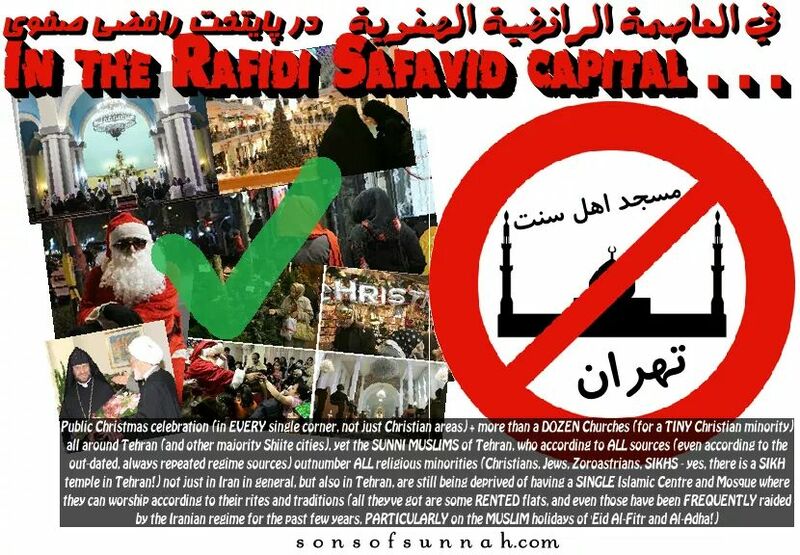 Disclaimer: Sonsofsunnah is an independant online platform that does not endorse or represent any group. The information contained in this blog and this article in particular is for general information purposes only. Sources: Mainly Wikipedia and other open sources. Harakat Ansar Iran (Persian: حرکت انصار ایران‎‎; Movement of the Partisans of Iran) was a Sunni militant organization active in 2012–2013 in the Sistan and Baluchestan insurgency and a designated terrorist organization by Iran. It was one of two militant groups, along with its ally Jaish ul-Adl, which split from Jundallah after the arrest of its leader in 2010. If it wasn’t for the Rafidah (Shia), the Ottomans would have conquered all of Europe!